This collection of Math Resources has multiple pages designed for teaching within specific grade bands. You'll also find valuable collections of support and enrichment resources that will benefit all learners. Games lower the threat of failure. Games foster a sense of engagement through immersion. Games link learning to goals and roles. Games support early steps into a new domain. Dr. Robert Brown of University of North Carolina at Greensboro (2006) provided further support for game-based learning. "Well-designed games embed the elements of effective education: content, communication, interactivity, knowledge application, and assessment. Gaming is problem-based learning" (para. 7). And allowing them to direct their own learning (34 percent). (Nagel, 2009, online p. 3). Unfortunately that same research revealed that only "51 percent of teachers are interested in learning how to integrate gaming into daily learning activities" (Nagel, 2009, online p. 3). Part of the problem for integrating digital games into instruction might be issues of any cost, licensing, and technical requirements of the game, plus the nature of the game itself. Some games collect data, which raises the concern about student privacy and sharing of that data. Sometimes students become so immersed in a game that it has psychological and emotional effects on them. There's the issue of how to measure learning from the game. Researchers have found "students learn more from games when bridging activities connect implicit learning with the game to formal, explicit classroom instruction – a connection that can be made stronger when learning analytics measure student progress in learning from their actions in the game" (Roschelle, Martin, Ahn, & Schank, 2017, p. 3). The content, activities or skills needed in the game must be appropriate for meeting curriculum requirements and learning objectives of the topic at hand. Teachers must consider the time to learn the game controls in relation to the time that is devoted to the learning objective. Can the game be saved at appropriate places? Are there multiple scenarios, levels of play, and missions relevant for the topic of study? How much of the game is under user control, including features like audio, levels of difficulty, entry point, customizing the game environment (i.e., users create their own environments, levels, and missions)? (Becta Schools, 2008). The type of game that might be used is an issue, as selecting the type of game depends on the content to be learned and/or mental process to be developed, as described in Table 1. Per Marc Prensky (2000), games can roughly be categorized as “action, adventure, fighting, puzzle, role-playing, simulations, sports, and strategy” (p. 130). Adapted from Prensky, M. (2000). Digital game-based learning. New York, NY: McGraw-Hill, p. 156. To fully engage and inspire children on subjects like math and science, educators and parents should be taking advantage of kids’ natural affinity for video games. Most experts agree that our learning approaches are stuck in a time warp, but they often disagree on solutions. Games and mobile media offer a new place to find common ground. While traditional forms of information – including books – are still vital tools, it is folly not to recognize that teaching techniques must meet kids where they are today. Reading is rapidly moving to digital formats – tablets, smartphones, and laptops. In response, we must use the broad array of digital tools – including video games and interactive learning – as an “anytime, anywhere" platform for teaching and learning. Thus, we find that students are learning from "curriculum-based games and electronic books such as those created for Sesame Workshop’s Sesame Street and The Electric Company and PBS’ Ready to Learn initiative," according to Levine (2011, para. 5). There are numerous apps being created for mobile devices such as the iPad, iPhone, and iPod Touch, including for learning mathematics. Companies such at DimensionU are producing 3-D video games devoted to mathematics and which meet Common Core and state standards. Further, educators and their students can create their own digital games with tools such as What2Learn. As educators, we cannot discount the power of this type of immersion for the digital natives we now teach. Simulations provide safe places for learners to practice what they've learned in multiple ways. Social elements help learners with retention and to develop collaboration skills, particularly if they must work with another (real or virtual) person to win or move on in the game, or to learn skills or content. Game on! : Game-based learning by Patricia Deubel in the January, 2006, issue of T.H.E. Journal. Why Play Games?, a blog post by Kitty Rutherford (2015, April 27) in NCTM's Teaching Children Mathematics. Complexity Matters by Marc Prensky (2005). In Educational Games, Complexity Matters. Mini-games are Trivial - but "Complex" Games Are Not--An important way for teachers, parents and others to look at educational computer and video games. The Use of Computer and Video Games for Learning: A review of the literature by Alice Mitchell and Carol Savill-Smith (2004). Digital Games for Learning: A Systematic Review and Meta-Analysis (2013, May) by Douglas B. Clark, Emily E. Tanner-Smith, and Stephen Killingsworth. The educational researchers were affiliated with Vanderbilt University under a contract with the Bill & Melinda Gates Foundation. The meta-analysis covers studies on game-based learning found in peer-reviewed journals between 2000 and 2012. GamesandLearning.org is "a news and information service aimed at increasing the amount of information available for those interested in developing and funding new educational games for children and young adults. The site is operated by the Joan Ganz Cooney Center at Sesame Workshop and is a project of the Games and Learning Publishing Council" (About section). Key sections for educators include Game Development, Learning Research, and Classroom Use. Gamification in Education: What, How, Why Bother? by Joey Lee and Jessica Hammer (2011), Teachers College Columbia University, NY. This article originally appeared in Academic Exchange Quarterly, 15(2). Lee and Hammer noted "Education gamification proposes the use of game-like rule systems, player experiences and cultural roles to shape learners’ behavior" (p. 3). It's used in non-game settings, helping schools face problems of learner motivation and engagement. To understand this better, you also need to know about the nature of games and features they provide, which Lee and Hammer also presented. Gamification vs Game-Based eLearning: Can You Tell The Difference? by Christopher Pappas (2015). Pappas noted that there is a distinct difference between these terms. He compares and contrasts gamification and game-based learning and provides tips for designing an eLearning strategy for each. Fun and playfulness: Paying out an alternative reality (Gamification and its ingredients section). View How Games Teach. In this video, featured in ASCD Express (2014, July 3), "Arizona State professor and noted expert on game-based learning design James Paul Gee discusses 13 learning principles that games use to "hook people on learning and engage them for the long haul." These principles fit into three categories: Empowered Learners, Problem-Based Learning, and Deep Understanding." Polin, L., Gibson, D., Grover, S., & D’Angelo, C. (2015). CIRCL Primer: Games and Virtual Worlds. In CIRCL Primer Series. Retrieved from http://circlcenter.org/games-virtual-worlds/ Note: CIRCL is the Center for Innovative Research in CyberLearning. Takeuchi, L. M., & Vaala, S. (2014). Level up learning: A national survey on teaching with digital games. New York: The Joan Ganz Cooney Center at Sesame Workshop. Retrieved from http://www.joanganzcooneycenter.org/publication/level-up-learning-a-national-survey-on-teaching-with-digital-games/ The reports includes findings from a 2013 survey of 694 K-8 teachers from across the U.S. Among those per the Executive Summary, "74% were using digital games in their instruction. Four out of five game-using teachers said their students primarily play games created for an educational audience. Educators who do not teach with digital games were more likely than game-using teachers to report that they are “not sure how to integrate games” into their teaching. Teachers are learning to teach with digital games via more informal ways, including from fellow teachers or self-learning, rather than from formal pre-service or in-service programs" (p. 5). Recommendations for change are included. Parents: Monitor the amount of time and the time of day your children spend playing video games and using technology. Baamboozle can be used for creating educational games for learners at any level. For example, it can be used for topic introductions, lesson reviews, assessments. You can set point values for degree of difficulty. You can search for games already made public and play them without signing up. Sign up for free to create games. Scratch from MIT is great for students to create stories, games, and animations and share them with others. Sploder allows you to create your own online games for free. Of value is that Sploder is used in schools. Sugarcane allows you to create a data set and 18 types of educational games on nearly every topic. Sign up for free. Tutorials are available. Common Core Standards for Mathematics provide coherence in developing proficiency. There are three core shifts required in instruction, however, for addressing those standards: 1. greater focus on fewer topics in each grade, 2. linking topics and thinking across grades, and 3. rigorous pursuit of conceptual understanding, procedural skill and application (For professional development modules, see Achieve the Core's Introduction to the Math Shifts). For example, major topics in grades K-2 relate to addition and subtraction and place value; in grades 3-5 multiplication and division of whole numbers and fractions; in grade 6 ratios and proportions and early algebraic expressions and equations; in grade 7 extending understanding of ratios and proportional relationships, and operations with rational numbers, and in grade 8, linear algebra and linear functions (Alberti, 2012). As one reads standards for each grade, there is a gradual introduction to operations and algebraic thinking, geometry, measurement and data in K-5, and in grades 6-8 we then see standards for expressions and equations, and for statistics and probability, and at grade 8 standards for functions (CCSS, 2010). The following resources have been selected with that goal of developing proficiency in mind. 2Learn.ca is a portal (Alberta, Canada) to multiple resources for teaching with technology in multiple content areas. Interactive and multimedia resources, including interactive whiteboard resources, are provided in grade bands: K, Gr. 1-2, Gr. 3-6, Gr. 7-9, and high school organized by subject area and curricular topic. Excellent! AAAMath contains hundreds of pages of basic math skills with interactive practice on topics found in K-8 curriculum. Each math topic is explained. Associated games are presented. Problems are randomly generated. Selection can be made by grade level or topic. There are links to additional resources for teachers and parents. ABCya.com has free interactive educational games and apps for K-5. Select from math, English, science, or history. Aplusmath was designed to help elementary and middle school students improve math skills interactively. The site features Java and non-Java flashcards , games, worksheets, and a homework helper. Create and print your own flashcards, too. Flashcard topics address basic operations, including fraction topics and negative numbers; rounding, square roots, algebra, geometry, and money, for example. Apples4theTeacher contains free elementary and preschool math interactive games and lessons on operations (computation games with +, -, x, /) counting and number sense, telling time, geometry and geometric shapes (including tangrams), measurement, interactive number charts, and money. Arcademic Skill Builders has free online educational video games, like you'd see in an arcade, for math and language arts. Math has addition, subtraction, multiplication, and division in single-player and multi-player options for elementary students in grades 1-4, or other learners as needed. At the end of a game, you get a report on how well you did. These are fun and motivating. Bitsize Maths from the BBC-Scotland contains materials at a standard level suitable for upper elementary, middle school, and above for maths 1 and maths 2, with study help and illustrations (called revisions) and interactive tests. Maths 1 deals with number at the general level, Pythagorean theorem, trigonometry and angles; area and volume, algebra at the general level, and graphs. Maths 2 deals with trigonometry, algebra, and statistics. Calculation Nation was created by the National Council of Teachers of Mathematics and is part of its Illuminations project. "The games of Calculation Nation™ are organized around content from the upper elementary and middle grades math curriculum. By becoming a citizen of Calculation Nation™, your child or student will play online math strategy games that allow them to learn about fractions, factors, multiples, symmetry and more, as well as practice important skills like basic multiplication and calculating area — all while having fun" (For Parents and Educators section). Students challenge themselves and can challenge other opponents from around the world. CK-12 Foundation is a non-profit organization with a mission to reduce the cost of textbook materials for the K-12 market both in the U.S. and worldwide. In addition to its Flexbooks, there are online problem sets in multiple math subject areas. There is a section for elementary math for grades 1-5 aligned to the Common Core standards. It contains interactive math practice problems, videos, video hints, and full step-by-step solutions, all free. Other sections include arithmetic for middle school, algebra, geometry, probability, statistics, trigonometry, analysis, and calculus. Also see the CK-12 Foundation Dedicated Channel for videos on YouTube. CK-12 has a section for college flexbooks, which include Elementary and Intermediate College Algebra and College Precalculus. CoolMath.com is award-winning and features topics in mathematics and science suitable for pre-K and upward, which include games, puzzles, brain benders, fraction lessons, fractals, geometry, algebra, and more. 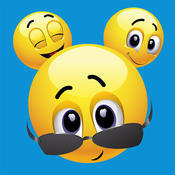 The site is designed for fun--a must see! Cool characters include, for example, Spike, Bubba, Smiley Dude, and Zeebo. Count Us In uses a cartoon-like game format with everyday activities to help young children (preK-2) learn basic math concepts (e.g., counting, patterns, time, sorting, halves, height, volume, length, chance, addition, subtraction). Site is maintained by Australia Broadcasting Company. Audio does not accompany directions on how to play, so young learners might need help reading directions. Davitily Math Problem Generator offers a web-based math problem generator for basic math, algebra, and geometry. Teachers, students and parents can quickly and easily generate worksheets, tests, and quizzes. Solutions are included. Some worksheets are free; others require a small monthly fee. DigitWhiz is "is an online math program that guides kids ages 8+ to master key foundational skills in five areas: Multiplication, Division, Integer Operations, Like Terms and Solving Equations." It "evaluates, prescribes games/activities and guides kids to mastery" and provides virtual rewards and printable certificates of mastery. (Learn more section). An iPad version is available. Sign up is free. EngageNY Common Core Curriculum includes grades preK-8, and high school algebra 1, algebra 2, geometry, precalculus and advanced topics. The site includes the "Common Core Standards, curriculum and instructional resources, bilingual resources, performance tasks and assessment guidelines and materials." HOT! 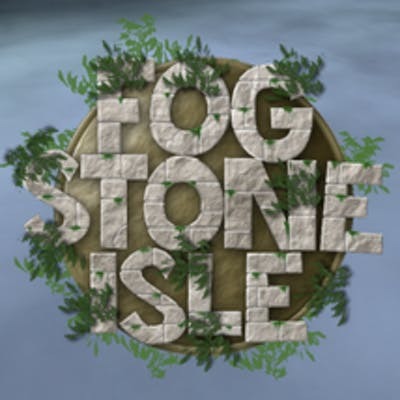 Fog Stone Isle by Cignition is a virtual world for learners in grades 3-6 to build conceptual understanding of fractions. Content aligns to Common Core fraction standards for those grades. The website is free for teachers and their classes; parents can get a paid account ($9.99) for summer use by up to three children. There's a teacher dashboard to help track student progress on concepts and procedural fluency. Allow several minutes for each game to load on your browser. The beauty of this program is its motivational element, adaptive play to a student's skill level, use of manipulatives, and its neuroscience approach to math learning. "At the beginning of a student’s adventure on Fog Stone Isle, a unique island is generated. Each island is populated with multiple terrains and no two islands are alike. As students play games to construct their individual virtual worlds, they can show off their worlds to their peers" (Classroom Use section). Fuel the Brain is for elementary grades. Math focuses on K-3 objectives. The site is very engaging, developed by an elementary teacher and a graphic designer. You'll find educational games, interactives, printables, teacher guides and tutorials. Under curriculum strands, you can find resources sorted by NCTM identified math strands. FunBrain.com is an award winning site for K-8 teachers, kids, and parents. Content is devoted to educational games on math, language arts, science, history, music, geography, and art. Resources for teachers and parents are numerous. Math Brain, for example, has 25 interactive, online games for K-8+ in a video board arcade style. Games align with students' level of knowledge in addition, subtraction, multiplication, division, and problem solving. Great Graphing Resources for Grades 1-8 from StartLocal (Australia) is a collection of links to sites for learning how to graph. The suggested grade level for use is indicated; some are game-based. Get the basics on coordinates and the x-y plane, learn different types of graphs, and graphing equations. GregTangMath.com offers free math games for elementary grade learners. They are all math and designed with mastering math basic skills in a fun, engaging way. Online game titles include Ten Frame Mania, How Many, NumTanga, Math Limbo, Kakooma, Coin Bubble, and Minus Mania. Teaching games include Breakapart, Expresso, Numskill, Missing, Funny Numbers, Place Value, Standard Algorithms, and Satisfraction. Teachers will also find free worksheets and a word problem generator. A great find! Harcourt School Publishers: The Learning Site provides online activities and tutorials related to their K-5 texts. Harcourt is part of Houghton Mifflin Harcourt School Publishers. Hooda Math by middle school math teacher Michael Edlavitch is a "free math site for teachers, parents, and kids featuring math games, math worksheets, math tutorials, and math movies." Games are organized by grade level (K-8, high school) and subject (addition, subtraction, multiplication, division, fractions, integers, algebra). You'll also find geometry and logic games. Internet4Classrooms Grade Level Skills for grades 1-8 is based on Tennessee Curriculum Standards. The standard is listed and paired with Web resources that address the skill or concept to be developed. iPracticeMath is a free resource that provides online practice and concept explanations for learners in grades 1-8 and high school. For example, you'll find elementary level math, algebra topics for grades 5-9, consumer math, statistics, and calculus topics. Other features include printable worksheets, reports for progress tracking, and awards. IXL Math from IXL Learning is a math practice site, which has problem sets for preK-8, algebra 1, algebra 2, geometry, precalculus, and calculus. The site provides a colorful, engaging environment for mastering skills. Guests can access "20 problems per day" for free with feedback on answers to help with understanding; however, the service is subscription based. Full benefits (e.g., student progress tracking and reports; and an awards system for learners who reach their goals) are gained with membership. IXL includes a diagnostic for six strands in math and also for a working math grade level. Johnnie's Math Page features many links to interactive tools for young students and their teachers. It "is the site to find fun math for kids, math games, and even a little math homework help. Interactive math activities from across the web have been organized by topic to make math learning enjoyable and interesting. For parents and teachers, you will find math lessons and math worksheets as well as links to other math teaching resources. For those who like a challenge, you will find free math games in the math puzzles section." Main sections deal with number, geometry, fractions, fun, measurement, multiplication, statistics, and probability. Learning Games for Kids features educational games in multiple categories designed for learners in preschool and elementary grades: "Math Facts, Math Games, Language Arts, Science Songs, Animal and Nature Games, Word Games, Art and Music Games, Logic Games, Memory Games, Hand-Eye Coordination Games, Preschool Games, Keyboarding Games and Geography Games." Math games are extensive and can be selected by topic within grades. LINKS Learning Illustrated Lessons for Math contains excellent animated lessons for introducing elementary students to estimation of length, place value, symmetry, patterns, weight and capacity, and tangrams. "This E-learning site has involved Washington's Office of Superintendent of Public Instruction and partner organizations including the Technology Based Learning and Research Project at Arizona State University; the Washington school districts involved in the Washington Alliance for Better Schools; Carkhuff Thinking Systems; Limelight Technologies, Inc.; Fairfax County, Virginia schools; and Educational Service District 113 in Olympia, Washington." The SuperMath interactive games help students to practice decimals, fractions, angles, and more. The site also includes Reading LINKS, a set of 18 multimedia lessons that demonstrate reading strategies. Maggie's Earth Adventures is a free educational resource for elementary grades, which considers multiple intelligence theory, situated learning, and brain-based research in the design of its standards-based activities. Students are exposed to real life environmental problems designed for them to see the connectedness and relevance of math, science, geography, language arts, and cultural experiences. 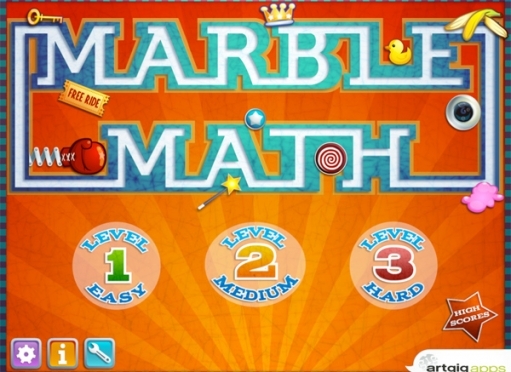 There are multiple sections, but you'll find a series of math games, programmed in Adobe Flash, for an engaging environment, for mastering basic skills. The Teacher's Lounge features theme based units and individual lessons, including printable lessons to correlate with the animated stories. Teachers can also register to receive Maggie's Weekly Activity Packets, which are designed for students to do independently. MathsIsFun.com provides supplementary content for K-12 in topics ranging from working with numbers and basic operations to money, algebra (with an introduction to trigonometry), geometry (including some interactives for constructions and using a protractor), data, measurement, worksheets, games, puzzles, and an illustrated math dictionary. Tutorial information is provided within content. Math by Design was designed for middle school learners and focuses on problem solving meeting geometry and measurement standards. "Students are introduced to the TRC Architectural firm as junior architects who are commissioned to build environments by working through a series of mathematical tasks. Students may build two environments: Flossville Town Park and Windjammer Environmental Center. Both are rich with interactives and online hints to help students refine and build upon their knowledge of geometry and measurement. Extensive educator resources provide valuable assistance for teachers to seamlessly integrate Math by Design into classroom instruction" (About section). Math in Action videos are available for learners "to see how people such as architects and cake designers use geometry and measurement concepts everyday in their jobs" (Educator Resources section). Math by Design was produced by Thinkport.org and Maryland Public Television. Math Cats: Elementary students interactively explore the world of polygons, polyhedra, large numbers, magic squares, lissajous, and more in MicroWorlds. Master concepts with games, crafts, art, puzzles, projects, word problems. There is information for teachers and parents. This award-winning site is by Wendy Petti. 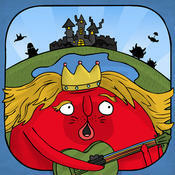 Math Doodles is by Daren Carstens, who is the developer of the award winning software Math Arena. He offers several interactive puzzles and games for elementary learners to have fun. But there is learning, too, as students practice addition, subtraction, money skills, pattern matching (shape, number, color), for example. Among current games are Connect Sums, Number Jump, Polyomino Shift, Double Traits, Sum Stacker, Time Shuffle, and more. Older learners also benefit, as students really need to think as they do these. Math Drill: Work interactively for FREE from your home or school on Math problems organized into 86 levels (and increasing ) of addition, subtraction, ordering, multiplication and division, dealing with numbers and fractions, decimals, percent, algebra, geometry, time, in direct as well as more analytic word problem format. There are step-by-step explanations for answers. Start with a level suitable for you and practice your way up. Keep track of your progress. Teachers can create homework problem sets and get class scores reported in a table format. Math FROG, which stands for Math Fun Resources and Online Games is for learners in grades 4-6. A team from the University of Waterloo (Canada) created this series of free self-contained lessons of 45 to 70 minutes each. Each lesson addresses a specific math concept using an online math game or technological tool and then follow-up downloadable paper-based exercises. The combination is designed for the most part as reinforcement and practice at the end of a unit. These engaging lessons can also be used when the teacher is absent. Math Game Time offers free games, videos, and worksheets for preK-7 learners. Math Goodies from Mrs. Glosser features interactive math lessons, homework help, worksheets, puzzles, and message boards. The site is primarily for students in grades 5-8. Younger students might benefit depending on their math background and reading skills, as well as older students who need remediation. Math Goodies also has a page of interactive calculators for basic arithmetic, loan payments, solving quadratic equations, and generating a random number. Maths for all provides interactive practice for concepts typically studied in grades 5-8, pre-algebra, algebra 1, algebra 2, geometry, precalculus, trigonometry, and statistics. You'll find an overview of the concept, worked examples, and interactive practice problems with solutions. Mathlanding.org supports elementary educators and their students via two principal collections: professional development for building their own knowledge and classroom resources for preK-6+. Each classroom resource set includes a selection of interactive media, games, videos and learning tools. Topics were selected based on the requirements of the Common Core State Standards for Mathematics and the National Council of Teachers of Mathematics Focal Points. Mathlanding is a project of Maryland Public Television in partnership with The Math Forum and the International Society of Technology in Education. Math Nook, by Thomas and Jan Hall, includes free online math games that target a variety of basic skills. You'll find addition, subtraction, multiplication, division, estimation, rounding, money, fractions, exponents, geometry, measurement, vocabulary, integers, patterns, and more. Some games have varying levels of difficulty. There are also free math worksheet generators (e.g., time, +, -, x, /) and a few videos. This material is useful for teachers, parents, and students. Math Playground: Animated characters created with Flash add to the appeal of this learning site for grades 1-6. The site offers interactive word problems, games, flash cards, logic puzzles with a focus on applying arithmetic operations, using geometry and algebra concepts, whole numbers, decimals, fractions. There are some virtual math manipulatives also, such as a protractor, fraction bars, equivalent fractions, percents, a spinner for probability, function machine, pattern blocks, and a geoboard. Max's Math Adventures is a K-2 math and language arts game in which hosts Max and Ruthie challenge young students to solve real-world math problems by using clues embedded in a fun, rhyming poem. Lessons and extension resources are designed to help build critical thinking skills, also. Mr.Maffesoli.com was developed by an elementary school Math Specialist, Michael Maffesoli. It contains math resources for students, teachers, and tips for parents for grades K-5 aligned to Michigan state standards. However, individuals in other states will also benefit. After selecting a grade level, you will see a series of specific links to web resources to help learners master the content addressed by the standard. This site is highly recommended for the selection of activities and organization of the site. Multiplication.com includes strategies, activities, games, and worksheets to help teach multiplication facts. Games are included for the classroom, for play over the Internet, or for download to play on your computer. HOT! : National Science Digital Library at Ohio State University emphasizes STEM resources for K-12 and beyond. You will find over 3000 resources related to the Common Core Math Standards and can refine your search by grade level, learning domain, and alignment. In general, search options include by education level, resource type, subject, standards, and an advanced search option to further narrow what you are looking for. Most are open educational resources. HOT! : New Jersey Center for Teaching and Learning: Course Materials include free STEM resources for K-12, including advanced level courses. Mathematics course materials at the elementary K-8 level are posted by grade level and also include accelerated materials for grade 7 and algebra 1 at grade 8. They are also available in Spanish. You'll find presentations, homework assignments, lab activities, and assessments in unit resources, as appropriate for each course. Numbertime, brought to you by the BBC in the UK, helps preK-2 students to begin building their math skills via animations, games, songs, and movies. Don't miss Teachers and parents can also link to resources to learn about money, shapes and space, resources for covering a full primary school curriculum, telling time, mental math, and more. PBS LearningMedia includes free media resources searchable by grade level, standards, media type, and subject. Resources include video and audio segments, interactives, images, documents, lesson plans, productivity tools for teachers, self-paced lessons,and student-oriented activities. You'll find media from NOVA, Frontline, American Experience, and other public broadcasting and content partners. The mathematics section features K-8 mathematics strands, and high school number and quantity, algebra, geometry, functions, statistics and probability. Math at the Core: Middle School is a featured collection of media and activities aligned to the Common Core standards. PBS.org also has an education section for parents that includes preK-2 math resources (games, tips for parents, activities, age-appropriate math milestones) to help them to instill early math skills in their children. Highly recommended. Primary Resources (UK) provides free worksheets and lesson plans, activity ideas, and resources for elementary grades in multiple subjects. For math, you'll find sections on general resources, numbers and the number system, calculations, solving problems; measures, shape, and space; and handling data. Many teachers have added their contributions for your use. Some include use of Flash animation for added engagement for learners. 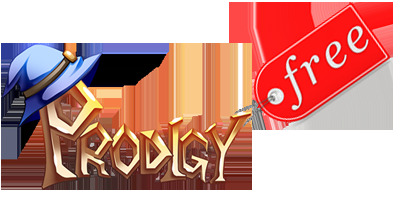 Prodigy is a game-based resource, which is adaptive based on game-play and includes content aligned to Common Core math standards for K-8. Reporting and assessment tools are included to help teachers differentiate instruction. Prodigy includes over 1200 math skills in number and operations, geometry, spatial skills, data relationships, probability, and beginning algebra skills. Access to all education content is free, but a membership gets the player some additional game-features. See Prodigy's "Big Resource of Math Word Problems," which contains 120 word problems for K-8 posted by category, and tips for K-8 teachers to create their own word problems. Quizdom produced Quizdom Connect Online which has free lessons, activities, presentations, pictures and videos for K-12 that have been created by Qwizdom's curriculum team and teachers. 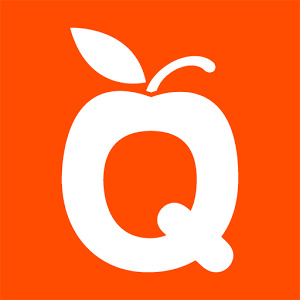 Quizdom also has Qtopia, an online learning environment for K-8 with ready-to-use activities, motivating games, avatar features, 24/7 online homework access with automatic grading, and in-classroom review modes. Scholastic Math Maven's Mysteries for grades 3-5 is a series of math mysteries, which students try to crack. They use problem-solving and critical thinking skills, apply math skills in an authentic situation, and practice their reading skills. Each activity takes about one class period. Choose mysteries to solve using logical reasoning, whole number operations, fractions and ratios, money and decimals, patterns and missing number equations, combinations and probability, measurement and time, and geometry and spatial relationships. Three levels of difficulty are provided. Sheppard Software provides numerous free online interactive games and activities for K-8 math, which are designed to be fun for learners. Sections include K-2 early math, basic operations, mixed operations, time, percentages, place value, money, measuring, fractions, decimals, algebra, probability, geometry, and more. Older learners can also benefit. Skillwise from the British Broadcasting Company (UK) focuses primarily on words and numbers. Math sections will help students at all levels, including adults, with basic skills: working with whole numbers, fractions, decimals, and percentages; measuring; shapes and space; handling data and graphs. Sections contain fact sheets, quizzes with varying difficulty, and printable worksheets with answers. Interactive games for mastery, video/audio segments to illustrate application of principles in real life, as appropriate, are included. Softschools.com provides free math worksheets, games, and online practice activities for preK-5, middle school, and high school (e.g., algebra 1 and 2, geometry, some trig and calculus) in multiple concepts. These are organized by grade, subject, and topic. Explanations of many concepts are provided. Statistics in Schools from the U.S. Census Bureau helps to educate K-12 students about the value and use of statistics in everyday life. The program provides resources for teaching and learning with real life data. Common Core standards-aligned, classroom-ready activities in math and history, data visualizations and more are included. Activities are available by grade band with an approximate time for completion of each. Teacher and student versions are provided. This is an excellent resource. Teach R Kids features Math for Elementary School Kids with interactive lessons on topics in number basics, sequences, patterns, addition, subtraction, multiplication, division, fractions, decimals, calendar, time, rounding, and money. Online worksheets with immediate scoring and correct answers are available for pre-K students, grades 1, 2, 3 and upper elementary. Some of the activities are timed, which allows students to see their improvement. Students can work on mastery at their own pace. An "in-game virtual math tutor monitors progress and teaches concepts when you need it most." The storyline involves a town that has lost its ability to do math and a character Pi who is the only hope to help the people re-learn their skills. The pre-algebra bundle comes with a price of about $25. School volume discounts are available. TimezAttack is a "real kid-friendly" multiplication tables video game from BigBrainz.com. Students learn their multiplication facts for 2-12 with this engaging software. The base version is free; Pricing for the premium version is available for individuals or schools. The difference in versions is primarily the level of graphics. The goal is for students (ages 6 and up) to escape the monster-filled dungeon by navigating through a maze filled with doors that open when multiplication facts are correctly answered. TimeMonsters.com, developed by Marc Gunderson who lives in England, is a free teaching tool that will help children learn to tell time without having to know how to read. There are lessons, quizzes and a speaking clock that can be played with. Everything is spoken and animated. There are also quick access menus for teachers with a series of automated time teaching worksheets. Gr. 5: Classifying Polygons, What Are Polygons, Regular And Irregular Polygons, Classifying Quadrilaterals, Chameleon Probability, Division Matrix, Rounding Decimal, Digital Clock Pattern, Analog Clock Pattern, Save the princes. Wired Math is for students in grades 7, 8 and 9 and their teachers. It is available in both English and French and based on the Ontario (CA) Mathematics Curriculum for grades 7 to 9. Its easy-to-use format is suitable for students who want to improve their skills through online games, drills, and problem solving. Students can review topics through the completion of exercises or additional questions and also develop mathematical independence, judgment, and original and creative thinking. Questions and problems will appeal to beginner, intermediate, and advanced students. Answers for all exercises and full solutions for challenges; extension sections are also provided. Materials at this site were designed by a team of mathematics teachers who partnered with the Centre for Education in Mathematics and Computing (CEMC) at the University of Waterloo. XP Math offers free arcade-like games for learners in grades 2-9, which are grouped by categories: number & operations, algebra, geometry, measurement, data analysis & probability. The developer is a middle school teacher. Games are linked to specific standards within the Common Core Standards for Math. Graphics are of high quality. Teachers can also monitor student progress. Per XP Math: "Mental mathematics is a component of the Common Core Mathematical Practices and XP Math Games makes it easy to support it." XP Math also has a Math in Careers Database that associates math skills with jobs that require those skills. ZooWhiz is a free curriculum resource for ages 5-15+ covering "maths, punctuation, spelling, grammar, vocabulary, word skills, phonics, phonemics and reading." Users build their own zoo as they interact with activities. Math includes seven progressive levels and addresses numeration, addition, subtraction, multiplication, division, fractions, decimals, chance, patterns, algebra, data and graphs, measurement; shape, space and geometry. ZooWhiz also works on mobile devices. Premium subscriptions are available. Caution: Educators may be using apps in their classrooms that have not been vetted by their school district, as they might wish to just try them out. Or, they might not have read the terms of service carefully to ensure strong privacy and data security to protect students. The Privacy Technical Assistance Center, which was established by the U.S. Department of Education, developed the following documents to provide guidance on this issue. Protecting Student Privacy While Using Online Educational Services: Requirements and Best Practices (2014) addresses "privacy and security considerations relating to computer software, mobile applications (apps), and web-based tools provided by a third-party to a school or district that students and/or their parents access via the Internet and use as part of a school activity" (p. 1). Protecting Student Privacy While Using Online Educational Services: Model Terms of Service (2015) provides further assistance in understanding terms of service before you click on "I Agree." It contains a checklist for evaluating the terms, warning signs and potential illegal practices, and recommendations and best practices to protect yourself, your organization, and data. In its 2018 State of EdTech Privacy Report, Common Sense reported on "a three-year examination into how student information is collected, used, and disclosed. It evaluate[d] 100 of the most popular applications and services used in educational technology using two broad criteria: transparency and quality" (p. 9). "[O]verall findings indicate[d] a widespread lack of transparency and inconsistent privacy and security practices. ... Only 10 percent of the applications or services met [the] minimum criteria for transparency and quality in their policies," but readers are cautioned about making judgments about individual vendors and should read policies carefully (p. 9). The report includes over 150 questions, grouped into categories, to consider in reading about privacy and security features in vendor policies. Privacy Evaluations are available; ratings include "Use Responsibly," "Use with Caution," and "Not Recommended" (p. 16). Do you have an iPad, iPhone, or iPod Touch, or other mobile device and need math resources? Teachers, don't let having only one iPad be a drawback to using it with your learners. With a special adapter from Apple and your HD projection system, you can share what you see on your iPad with the entire class. Turn your iPad into a recordable whiteboard with Educreations Interactive Whiteboard, a free app. Use it to create video tutorials simply by touching, tapping, and talking. ShowMe is a free app, which also turns the iPad into an interactive whiteboard, allowing you to record voice-over lessons and share them with others. You can easily draw with your fingers or stylus, and add images. There is an extensive collection of lessons and "how-to" examples in multiple content areas. For math, these range from arithmetic through calculus. Do you need help to master your iPad or other mobile learning device and integrate it into teaching and learning? A Comprehensive Guide for Effective Use of iPad in Teaching is by Med Karbach, developer of the website Educational Technology and Mobile Learning. You'll find tips to help get to know your iPad, rules for iPad use, rubrics for selecting apps, questions to ask before using iPads with students, skills students should have, suggestions for how to use the iPad in the classroom, specific content area apps, and additional resources with tutorials and guides for teachers. iPad Academy will help you master the iPad with valuable tips and tutorials. The Student Guide to iPads & iOS 6 is a free 34-page book written by Jac De Haan to help middle-school and high-school students become proficient with basic iPad operations to support learning. This book focuses on iOS productivity apps and basic troubleshooting. It is available for download on your iPad with iBooks or on your computer with iTunes. Mobile Learning Explorations from edWeb.net "is a professional learning community where educators and industry experts explore the potential of laptops, tablets, and other hand-held devices to enrich learning, to bridge the digital divide, and to extend learning beyond the traditional school day." You'll find free webinars, live chats, and online discussions and learn about the latest news, trends, case studies, and best practices" in this area. HOT! : Mobile Learning for All: Supporting Accessibility With the iPad by Luis Perez (2013) shows how the specific accessibility features of the iPad support one or more guidelines of Universal Design for Learning, which benefits all learners, not just those with special needs. Each chapter includes activities designed to help readers become more comfortable with the accessibility features of their devices. Each chapter also has reviews of apps that complement the accessibility features discussed. The book provides access to over 20 video tutorials linked through QR codes. Perez also included a chapter on managing iOS devices in the classroom. Do you need help to manage a classroom set of mobile devices? If you have a classroom set of iPads, iPod Touch devices, or iPhones, Apple Configurator will help you manage their use. With this free utility, you can "prepare new iOS devices for immediate distribution, supervise devices that need to maintain a standard configuration, and assign devices to users, [and] quickly update your devices simultaneously." Further, you can "personalize devices with data and documents for specific users" (Description). Need tips for selecting math apps? There's a growing selection of math apps on the Web for use with mobile devices, desktops, and laptops. Consider that learners will value apps that enable them to collaborate with others who use the app. Cautions: Always read the Terms of Service before selecting an app or tool to use with learners. Any apps should be vetted and accessible by all users. Be sure to select apps that are not device specific, particularly if you have a BYOD program. Does the app address a specific curriculum need? Is the app well supported (e.g., help features, available company phone number or email address)? Is the app going to be hard for the IT department to support because of web filtering? That is, the app should work in the school setting without having to unblock multiple IP addresses. If the app easy to manage in a school setting? "Can the content that students create using the app be saved? Where is the content hosted? Can you easily share this content? Can the app be used with an existing student account (like Google) or will students need to create new user names? Is an e-mail address required?" Can the app run on a variety of devices? "What is the cost for the full product? Is it a district or school subscription fee based on the number of users? What happens to your content when you stop paying for the service? Is there a way to access usage statistics to monitor how and how often the product is being used?" "If you're in a 1:1 initiative, how are you going to handle updates for the apps? Will the purchased app work when a new operating system update comes out? Who will need to be involved with the updates? Will students be able to update the app themselves?" Evaluating Apps for the Classroom is a free 15-page book from Apple Education to help educators select apps for use with the iPad. It expands on five selection criteria: developmental appropriateness, instructional design, engagement and motivation, balance of interactive features, and accessibility. Download requires iBooks on a Mac or iOS device. The bottom line, however, is that when selecting (or developing) an app, educators should begin with the end in mind, that is, start with the learning goals. The U.S. Department of Education, Office of Educational Technology (2015) noted: "Apps that simply digitize traditional practice are less meaningful than apps that support more effective approaches to teaching and learning based on sound research" (p. 7). When considering apps, look for how privacy and accessibility are ensured, and if the app will be effective at home as well as in school (p 6). Consider tools that promote "acquisition of knowledge and skills, meaning making, and transfer," as these are considered the essential goals of student learning (McTighe & March, 2015, p. 36). There are many tools for acquiring factual information; however, Jay McTighe and Tom March reminded educators that students also need tools to support their organization and management of information (e.g., news feeds like RSS-really simple syndication, or social bookmarking tools like Diigo or Evernote). For meaning making, consider technologies such as thinking tools, graphic organizers, and productivity tools (e.g., Google's G Suite for Education). "Transfer goals cultivate students' ability to apply their learning in varied situations, beyond the context in which they learned it" (p. 40). Tools for promoting transfer might include online class portals, where students can participate in authentic settings, publish their thinking, share their creations, and receive feedback. For example, a possible class portal topic might be real-world mathematics, which allows learners to share multimedia in its many forms on this topic. The Kaplan Educational Product Evaluation Checklist is a useful tool containing 12 categories for evaluating products. Lee and Cherner developed a comprehensive Evaluation Rubric for Educational Apps (see Appendix A) with 24-evaluative dimensions "tailored specifically to analyze the educational potential of instructional apps" that is linked to previously published research on this topic (p. 21). As discussed in their 2015 publication, these are grouped into three domains: Instruction, Design, and Engagement. "Eight dimensions are used to evaluate an app’s instructional worth. These include (A1) Rigor, (A2) 21st Century Skills, (A3) Connections to Future Learning, (A4) Value of Errors, (A5) Feedback to Teacher, (A6) Level of Material, (A7) Cooperative Learning, and (A8) Accommodation of Individual Differences" (p. 26). The Design domain includes "nine dimensions that measures an app’s design according to its (B1) Ability to Save Users’ Progress, (B2) Platform Integration, (B3) Screen Design, (B4) Ease of Use, (B5) Navigation, (B6) Goal Orientation, (B7) Information Presentation, (B8) Media Integration, and (B9) Cultural Sensitivity" (p. 30). The Engagement domain includes "seven dimensions, and each dimension was created to measure how motivated learners might be to interact with and learn from an app. The dimensions used to evaluate if apps are likely to appeal to learners include (C1) Learner Control, (C2) Interactivity, (C3) Pace, (C4) Personal Preferences, (C5) Interest, (C6) Aesthetics, and (C7) Utility" (p. 33). There's a growing list of sites that are aggregating apps, some of which are vetted by teachers. Some also provide tips for learning with mobile devices. App Ed Review: Dr. Todd Cherner and Dr. Cheng-Yuan Lee began this website for evaluating apps and websites. You can search for reviews by resource type, subject, grade level, and price. Each review contains a description, instructional ideas, price, screenshots, and a rating based on their rubric for evaluating instruction, design, and engagement elements. Apple in Education has numerous apps for learning with links to specific education apps in the content areas in iTunes. You'll find resources for Learning with iPad and Learning with Mac. BridgingApps has a mission to "bridge the gap between technology and people with disabilities." There are apps for iPad, iPhone, and Android devices (i.e., special needs applications that run on the Apple and Android markets) and multiple search categories. For example, over 80 apps are in the math category. Note: the site can also be viewed in multiple languages. Common Sense Media: Math Apps and Learning Tools for Kids; also see the section on Special Needs Apps, which includes communication, social interaction, organization, math, and motor skills apps. EdSurge Product Index is a "community driven" database of edtech products, including those related to curriculum in multiple content areas, classroom teaching needs (e.g., assessment, classroom management, collaboration, etc. ), school operations, and more. Graphite.org is a free service from Common Sense Media "designed to help preK-12 educators discover, use, and share the best apps, games, websites, and digital curricula for their students" (About Us section). Ratings are provided by teachers. Search by type (apps, console and PC games, websites), subject areas, grade level, and price (free, free to try, paid). When searching for apps, you can also select app devices that include iPad, iPod Touch, iPhone, Android, Kindle Fire, and Nook HD. Graphite also offers Common Core Explorer to help with locating tech resources in its database aligned to the Common Core Standards. iPad Curriculum claims a collection of the best applications, practices, and deployment of the iPad as a learning device. You'll also find iPod Touch and iPhone apps. There are multiple search options, including grade level, subject, and price (including free apps). K-12 Blueprint App Finder: Search by platform (Windows, Chromebook), grade level, purpose, subject, or app name. Mobile App Education and Workforce Center is an initiative of the Tennessee Board of Regents. This is a repository of over 50,000 apps in multiple disciplines, searchable by education level from preK-doctoral and the workforce beyond. Educators can also sign-up for email alerts when new apps are added for their discipline. Mathematics is extensive. Tap Tap Math is a blog about how the iPod Touch and iPhone can be used to support learning math. You can also find apps that educators use or recommend. TCEA - iPad Apps and iBooks: TCEA (Texas Computer Education Association) provides an extensive list of apps by grade level or subject area and topic, primarily gathered from iTunes. A link to the app or book is provided. Among resources you'll also find a list of Android apps and Chrome apps. The following apps would help address content typically found in elementary and middle school curriculum. Some apps could also be used at higher grade levels. See page 2 of our math resources for additional apps for mobile devices for specific subjects that are typically studied at the secondary level and above. Info: These algebra tiles can be used to explore 1) adding, subtracting, multiplying, and dividing integers, 2) modeling and simplifying expressions, 3) substitution, 4) adding and subtracting polynomials, 5) solving equations and systems of equations, 6) distribution, 7) adding, subtracting, multiplying and dividing polynomials, 8) factoring, and 9) completing the square (Product description). Brainingcamp also has other apps for iPads. Info: This app provides game-based practice (similar to Hangman) with addition, subtraction, multiplication, and division. Students choose numbers 1-12 and the operation. They build fluency, learn facts from memory, use mental strategies, and properties of operations. To win, they need to get 25 problems correct or the "chalkman" erases. It aligns with Common Core standards 1.0A.6, 2.0A.2, and 3.0A.7. There is also a flashcard mode. Info: There are multiple games included, all of which use a chicken theme. Students learn to add and multiply fractions via 50 levels of play; simply fractions by finding common factors of the numerator and denominator; identify equivalent fractions; visualize and compare fractions; estimate the decimal equivalent of a fraction using a number line. Info: This app contains SBAC and PARCC style questions within quizzes covering Common Core math and language arts standards for grades 6 and up with some coverage of the elementary standards. Platform: iPad; requires iOS 5.0 or later. Info: "Aligned to the Common Core, Door 24 provides targeted practice in the use of basic facts, number sense, and algebraic thinking. Students can work through 6 different levels and multiple problem sets as they help fix Victor the robot’s circuits and solve the mystery behind Door 24!" (Description section). Also see Door 24 Plus, released in January 2015, which is also free for grades 4-8. Info: This app allows learners to use bars or circles to represent, compare, and perform operations (add, subtract, multiply, divide) on fractions whose denominators are from 1-100. They can explore the relationships between fractions, percents, and decimals. There is a drawing tool to annotate work and show understanding. A math text tool can be used to write expressions and equations. Color can be added to fraction representations. Teachers can use it on their whiteboards. Info: This app, aligned to Common Core standards, addresses fractions and part-whole relationships. The story line features pet bird Quip. Students cut fruit apart, putting parts back together to form the whole, and identify fractions along the way. Per the description, "Abstract concepts are modeled with concrete, familiar examples." There are 50 levels of play with scaffolded instruction. 6th Grade Math helps with numbers, factor trees, fractions, decimals, percentages, perimeter and area, measurement and statistics. 8th Grade Math helps with major terms and concepts related to sequences and series, polynomials, square roots, introduction to geometry, triangles and other polygons, Pythagorean Theorem, and trigonometry. Info: This app helps learners understand how addition and subtraction works. It can also be used on a smart board in the classroom. Engaging characters show how Base 10 blocks are used to regroup and ungroup into 1's, 10's, and 100's. There are 8 skill levels and 96 Common Core based quests. Within 8 games, learners make 10, 20, 50, or 100 and anything 0-100. They can take away from 10, 20, and anything from 0 up to 100. Worksheets and lesson ideas are also available on the Learning with Meaning website. iLiveMath word problem series is a collection of theme-based apps (e.g., oceans, animals, countries, transportation, special events, and fun topics) in which learners apply their math skills within real world contexts. Each indicates skill levels of mathematics applied and math topics addressed. Elementary and middle grades would benefit, and some high school learners. iLiveMath Common Core Series for grades 1-4. "iLiveMath1, 2, 3, and 4 Common Core State Series are available as multi-platform apps designed to run on iOS (iPad, iPhone, and iPod Touch), Android (Google Play, Kindle, Nook) and the web as a web app." Note: iLiveMath1234 Lite is available for free. Info: This app "is great for kids from ages 3 to 12 and comes in 5 difficulty levels so that it helps kids master telling time progressively (statistics is provided to help keep track of your child’s progress)." There are nine clocks to choose from and options for learning to tell time in different languages. Kids also learn about digital and analog clocks." Info: These apps are based on universal design for learning principles and also assist learners at all grade levels to develop reasoning and logical thinking skills. There are varied levels of difficulty. MathSquared "puzzles are grid-based puzzles that use the basic math operations of addition, subtraction, multiplication, and division and require logic and problem-solving skills. The grids have an equal number of rows and columns (e.g., 3 x 3, 4 x 4), and the goal of each puzzle is to fill a grid with numbers (e.g., 1 through 3 for a 3 x 3 grid) so that no number appears more than once in any row or column. Grids in MathSquared range in size from 3 x 3 to 7 x 7. The grids are divided into heavily outlined groups of cells called “cages.” The numbers in the cells of each cage must produce a certain “target” number when combined using a specified mathematical operation (either addition, subtraction, multiplication or division)." MathScaled "is based on a balance-scale format, which is often used in algebra and pre-algebra classes to support understanding of equations. The goal is to place the shapes on the balance scale so that the scale is balanced. The weights of the shapes are not given. [There are] varied the level of difficulty through increasingly complex balance scales and different numbers of shapes used for balance." Info: For iPhone and iPad users, "With more than 18,000 exercises, iTooch Elementary is a new and fun way of practicing and learning Math, Language Arts and Science for 1st, 2nd, 3rd, 4th or 5th Graders." "With more than 10,000 exercises, iTooch Middle School is a new and fun way of practicing and learning Mathematics and Language Arts for 6th, 7th or 8th graders." Both are based on Common Core standards. Info: This app features "saving the Snortles" as learners develop skip counting, addition, and multiplication skills in an adaptive difficulty game environment. If needed, hints are provided. Price: $2.99 in iTunes; There is also a free version. Info: This app features the Madagascar crew and penquins and provides 80 game levels of math teaching. Learners practice addition, subtraction, multiplication, and division with three difficulty modes. Price: $4.99 in iTunes; There is also a free version. 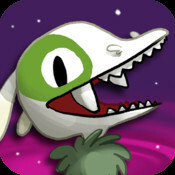 Info: This app provides an arcade-like intergalactic adventure with over 40 levels of math teaching. Learners practice addition, subtraction, multiplication, division, fractions, standard form. It supports English and Spanish. Info: This app addresses Common Core geometry standards in grades 1-3 to reason with shapes and their attributes and in grade 4 to draw and identify lines and angles and to classify shapes by properties of their lines and angles. Early geometry concepts are introduced and reinforced via an engaging game. "The Evil Bookkenriders are coming to drink from the magic pools and Destroy the land of Venn. Master the ancient knowledge of geometrical shapes to defend The Land and eliminate the Evil Bookkenriders attacks. Start as an apprentice and rise to fame as a powerful Wizard!" (Description section). Info: Learners navigate a series of mazes using a marble as they learn a variety of math concepts. Concepts include addition, subtraction, multiplication, division; adding and sequencing fractions with different denominators; sequencing roman numerals; factoring; sequencing decimals; adding and subtracting negative integers; counting money; comparing number values; and simplifying equations. There are three levels of difficulty. 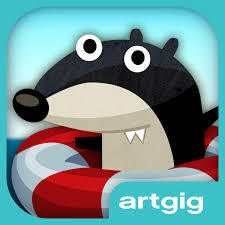 In addition to this app, Artgig Studio has other math apps, including a free app. MathBoard by Pala Software, Inc.
Info: There's much more to say about this app. It includes "Random equation generation for Addition, Subtraction, Multiplication, Division, Squares, Cubes, and Square Root problems. ... It includes multiple choice, as well as, fill in the blank style questions. ... Problem Solver will outline the steps needed to solve addition, subtraction, multiplication, and division problems." Data can be saved. Info: Learners climb a 70 ft. wall or race against another climber as they test their knowledge of math covering 18 topics. Earn coins for answering correctly and use them to customize your climber, get help on answers. With enough 100% scores, you might just get into the 5 Star Club. 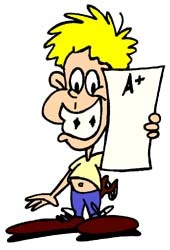 Email and print out your progress reports. The app is available in English and Spanish. Topics include addition, subtraction, multiplication, division of whole numbers, fractions, negative numbers; place value, order of operations, gcf, lcm, percents, decimals, area, perimeter, volume, customary/metric measurement. Info: Develop your mental math skills. Learn to multiply, divide, and square at lightning fast speeds using only basic math skills of addition, subtraction, multiplication and division. Info: In this game-based app, learners build their rocket while practicing math. There are 56 math missions and three levels of difficulty dealing with numbers, fractions, decimals, telling time, shapes (2D and 3D), money, patterns, square roots, the four operations(+ - x /), and more. Info: This is the "free version of the award winning education app Math Ref. This app gives you just a sample (over 700) of the over 1,400 helpful formulas, figures, tips, and examples that are included in the full version of Math Ref" (Description section). Price: a free download to try Math Shake, then purchase question packs ($0.99) as you need them; or $3.99 for Math Shake for Schools (all features and no in app additional purchases). Info: Students use keywords to change thousands of available word problems into equations and then solve them with help from tools such as tens frames, number lines, number matrixes, fraction parts and counters. Screencasting allows students to record their thinking and then share their videos. Info: Math Snacks are short animations and mini-games designed mainly for learners in grades 4-8. They are available on the Internet, and some also for use on iPhones and iPads. The developers at New Mexico State University Media Productions promote Snacks as another way for students to look at core math concepts. "Math Snacks materials address critical content including number sense, ratio, proportion, measurement, scale factor, and pre-algebra. Some Math Snacks address more than one content area and can be used in a variety of lessons at different grade levels" (Teaching With section). Content is aligned with Common Core standards and is research-based on gaps in mathematics understanding. Accompanying print materials can assist learners in applying their conceptual understanding to additional math activities and problems. Info: Drs. Tim Pelton and Leslee Pelton developed several free game-apps for math for use on mobile devices. ClockMaster helps children make the connection between hours and minutes and master reading and setting time on digital and analog clocks. Equivalents --players find groups of tiles showing equivalent fractions, decimals, and/or percents. Info: This award-winning app contains hundreds of activities and worksheets that "easily facilitate mapping onto popular textbooks and standard math curricula." It uses "hands-on and interactive mini-games, called episodes. These immersive bite-sized apps for tablets and personal computers are based on a modular and progressive spiral learning system" (About section). Graphics are highly engaging. Matific offers teachers additional resources (e.g., teacher guides, videos) at its website. Info: Young children learn to read a ruler in inches, centimeters, and millimeters; they move the ruler to measure lengths of seven different animals. Info: Young children learn the concepts of addition and subtraction of large numbers and place value. Visualization of the regrouping process is a key feature. Demos available. Info: This app features an interactive number line and 24 levels of play to help learners in grades 1-6 to master place value from the thousandths to the thousands, to locate integers, negatives, and fractions on the number line, and to build automaticity in comparing numbers. The multimedia is engaging, as learners "navigate among concrete objects (animals) that represent abstract numbers: from dinosaurs in the thousands to amoebas in the thousandths." Info: This app features several levels of play to help learners aged five and up to learn about fractions: "perceive and estimate many important representations — numerator over denominator (1/2), percents (50%), decimals (.5), and even pie charts." The game "follows a star trying to return from earth to its home in a far-away galaxy." 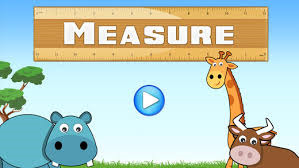 Info: This is an estimation games in which learners can construct their own questions and explore "a variety of estimation quests – Amazing Animals, Need for Speed, History of Awesome, Olympic Gold, and GeoOdyssey!" Info: Players practice basic math skills (+, -, x, /, building equations) as they rescue dragonflies in the museum, which comes with eight museum themes. They can customize the math skills based on their age and ability. This is a sequel to Mystery Math Town. Info: This app is a base-ten manipulative. The ones, tens, and hundreds pieces help elementary "students develop a deeper understanding of place value while building their computation skills with multi-digit numbers. Students use the number pieces to represent multi-digit numbers, regroup, add, subtract, multiply, and divide" (Description section). Info: This app features games covering the K-1 Common Core math standards. It has 30 activities that form "the foundation of numbers, digit writing, counting, addition, order relation, patterns, parity and problem solving" (iTunes Description section). Info: "Developed by Florida Virtual School to review 4th to 8th grade Common Core Math Standards. Players solve geometry puzzle challenges related to angles and triangles to fix their broken skate track and make it to the next level" (Educational Notes section). Splash Math by StudyPad, Inc.
Info: This app includes interactive math problems aligned to Common Core Standards. It addresses over 300 math concepts with self-paced and adaptive practice. StudyPad also has Splash Math apps for single grades K-5. Info: This app is designed to help learners master multiple levels of addition and multiplication. Within a fun environment, students can feed their Sushi Monster when they correctly answer questions. When their monster is fully fed (i.e., a level has been mastered), they move on to feeding another monster. Earn rewards for performance and progress. Info: The app includes "8 fun and engaging multi-level games that offer children practice and support in Pre-K through 2nd grade math fluency skills including: counting, writing numerals, addition and subtraction" with content aligned to the Common Core standards. For example, learners get focused practice of addition and subtraction to 99 to build fluency. Within the equation maker game, they use "puzzle pieces to build addition, subtraction and early multiplication number sentences." It also will appeal to special needs learners. Info: Per Odinix, this app "offers a huge variety of topics which include counting, addition, subtraction, multiplication, division, mixed operations, geometry, time, money and fractions." Content based on Common Core Standards. This gaming app includes engaging undersea graphics, rewards, challenges and levels with detailed feedback and proficiency tracking for each individual student. A classroom edition for up to 30 students is available. Info: 50 levels of game play help users gain addition, subtraction, multiplication, and division skills needed for algebra, such as order of operations. This adventure game is designed for users to solve math puzzles using math operations to make numbers, which help the heroine Twelve save her family as she travels through a futuristic town Dozenopolis. Also see the YouTube Twelve a Dozen Game Trailer. iPhone Apps include Numbers 123, Algebra Concepts, Colors and Shapes, Addition Facts, Multiplication Facts, PuzzleLogic, and Fractions. Virtual Nerd Mobile Math by Pearson Education, Inc.
Info: This app provides interactive tutorial videos aligned to Common Core and other standards. Select videos by topic or standard to review fundamental math concepts in middle school and high school through Algebra 2. You can also search by keyword and set video favorites. Users of one of Pearson's most recent math programs (e.g., Pearson High School Mathematics Common Core 2015, Integrated High School Mathematics Common Core 2014, digits 2015) can also search by the program's table of contents. Evaluate any numeric expression or substitute a value for a variable. Simplify fractions, square roots, or any other expression. Solve a simple equation or a system of equations for specific variables. Plot basic, parametric, or polar plots of the function(s) of your choice. Expand any polynomial. Factor numeric expressions, polynomials, and symbolic expressions. Find the partial fraction decomposition of rational expressions." Info: This app assists with many topics covered in pre-algebra courses, including solving equations, simplifying expressions, and plotting equations on the coordinate plane. It is powered by Wolfram|Alpha. Alberti, S. (2012). Making the shifts. Educational Leadership, 70(4), 24-27. Jenkins, H. (2005, April). Getting into the game. Educational Leadership, 62(7), 48-51. McTighe, J., & March, T. (2015). Choosing apps by design. Educational Leadership, 72(8), 36-41. Prensky, M. (2000). Digital game-based learning. New York, NY: McGraw-Hill.